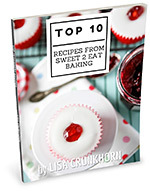 A full and thorough well written recipe with no mistakes, missing ingredients, missing directions, or typos. Clear, well lit and beautiful photos that are a minimum of 680 pixels wide (preferably 1360px wide for retina displays). A minimum of 3 photos taken in portrait orientation. Posts should be at least 300+ words (excluding recipe) that compliment and describe the recipe. For example, what does it taste like? Is the recipe easy to make? Any special tools needed? Why is this recipe unique? Any techniques needed for this recipe? Be very descriptive! Enter your post title here, e.g. Blueberry Muffins Recipe. Enter your complete custom guest post here. HTML can be used. If you have any questions or comments in regards to guest posting, please enter them here.